The Legionaries of Christ have run a course for diocesan and religious seminary formators from around the world for 28 years. This summer’s course had 86 participants from 27 countries. Seeking to offer a service to the Church and, in particular, to the seminary formators responsible for this “delicate mission of priestly formation” (Pastores Dabo Vobis132), the Sacerdos Institute of the Pontifical Athenaeum Regina Apostolorum organizes each year a course that, as over a month, it deals with the most important topics of the seminarian’s formation. 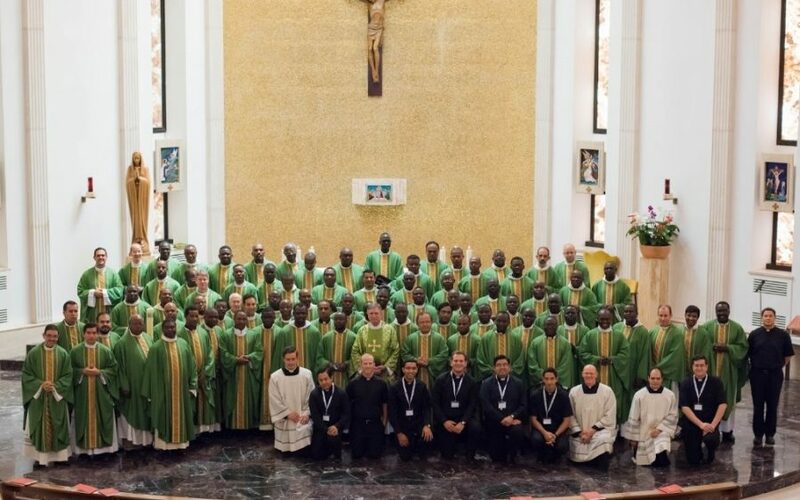 The XXVIII International Course for seminar formators took place over the summer (June 30thto July 30th) at the Pontifical International College Maria Mater Ecclesiae with 86 priests. It began with 5-day Ignatian spiritual exercises, preached by Fr. Bennet Tierney, LC. 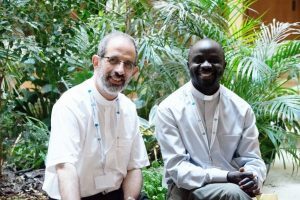 “This course opened my eyes to the need to evangelize, but above all to the need to witness to the priestly life. The people of God expect much from us. We must be able to bring people closer to God for the sanctity of our life, “said Fr. Yesse Jean-Noel, of the Diocese of Berberati, Central African Republic. Fr. Luis Ramírez, LC, of the Sacerdos Institute, commented, “The course serves as a refresher for those already dedicated to the formation of future priests. It is presented as an opportunity to study, deepen and share experiences among formators who have the responsibility to accompany in the discernment, growth and maturation of seminarians.” Along this line, various professors and specialists gave lectures on relevant topics for seminar formators. Among the participants were 24 rectors of seminaries, 3 vice-rectors, 30 formators, 6 spiritual directors, 1 vocational director and 1 novice teacher. Participants came from 27 countries: Australia, Brazil, Benin, Burkina Faso, Cameroon, Central African Republic, Chad, Colombia, Democratic Republic of the Congo (Kinshasa), Republic of the Congo (Brazzaville), Egypt, Ethiopia, Ghana, India, Malawi, Mexico, Nigeria, Slovakia, Slovenia, South Africa, Swaziland, Tanzania, Uganda, Venezuela, Vietnam, Zambia and Zimbabwe. “It’s never too late to learn. The formation I received helped me and gave me the courage and joy to keep going. May the Spirit of God continue to encourage and enlighten us so that each one of us may be ‘another Christ’ and have the feelings of the Son,” said Fr. Edouard Tsimba, of the Archdiocese of Bangui, Central African Republic. The month included a workshop on discernment. This workshop included the following presentations: “Christian Discernment” by Fr. Raffaele Di Muro, OFMConv, “Vocational Discernment” by Fr. Armando Santoro, OMV, “Discernment and affectivity” Fr. Amadeo Cencini, FdCC, and finally, “Discernment and conscience” by Msgr. Raffaelo Martinelli. In addition to the conferences and workshops, the course included moments of work in small groups, where cases and real situations were analyzed, from the discussion and the listening in a team, to exercise in the decision making. “I loved the time I spent with other formators from different seminars around the world. 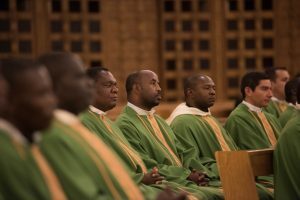 I liked being together, praying together and learning together because we are engaged in the same ministry: formation of future priests, pastors who have the smell of the people, “Fr. Edouard of the Central African Republic added. The course was directed by Fr. Alex Yeung, LC, with the help of another Legionary priest and 14 Legionary brothers studying theology who helped with secretarial work, administration, simultaneous translation, logistics, and liturgy. 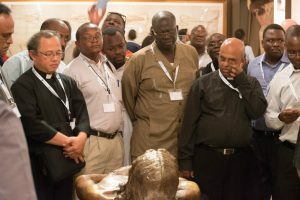 If a seminary formator in your diocese is interested, details on the 2019 course are here. 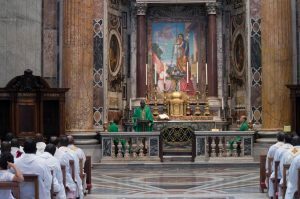 This article originally appeared on the Legionaries of Christ Site in Spanish.